are you plan start your own men’s clothes shop ? 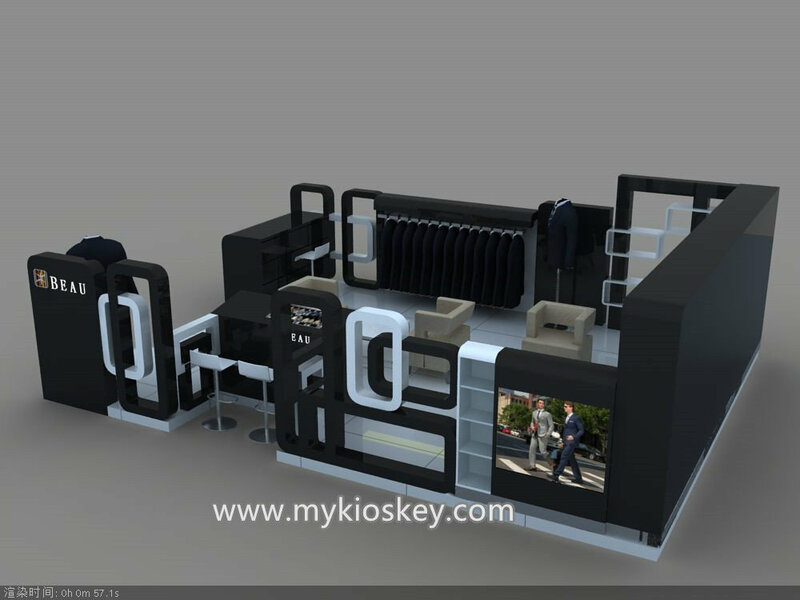 are you worry about can’t find fascinating design？ In this article I want to introduce a very popular modern style clothes shop . Please follow me for more details at below . 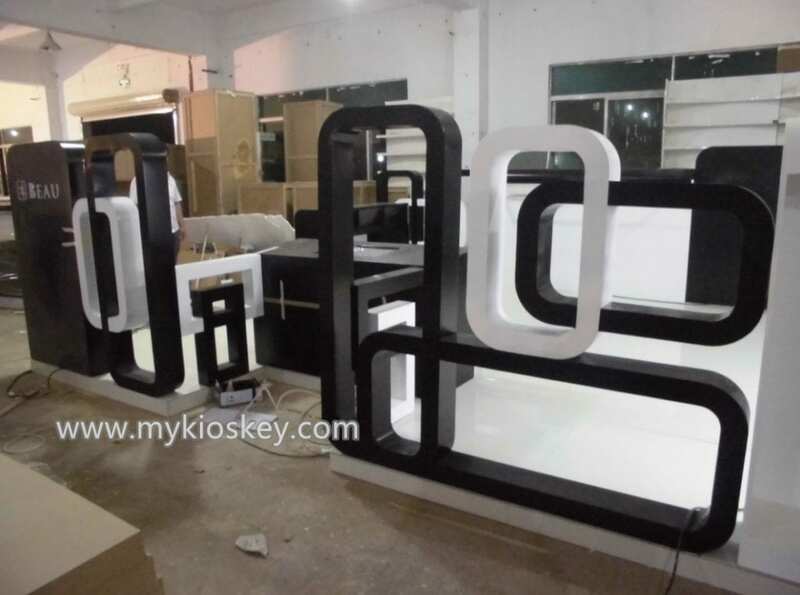 Besic material : you can see the whole shop mainly tone is black and white , total is about 8m by 6m , basic material is MDF , surface is baking painting finished . wooden cabinet . Layout : you will notice this is a opening location in mall . 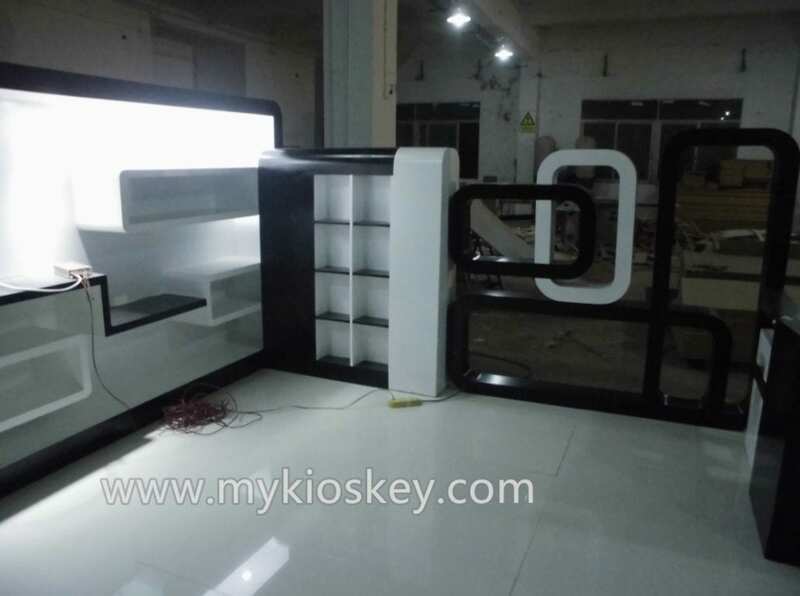 the front part is a big entrance door , two sides with Low Hollowing out wall display. even is you are outside , guests can see the showings directly . 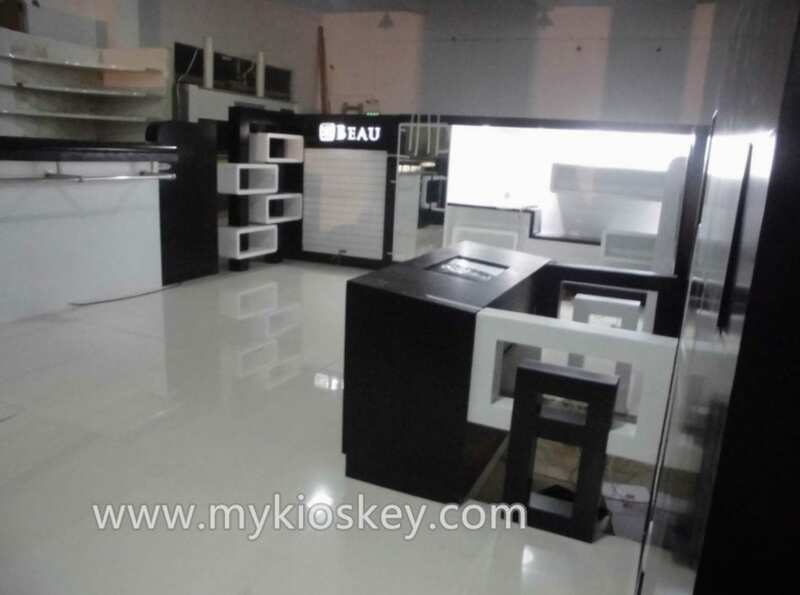 the back sides is a high wall with display shelves , inside with a small cashier counter and some table and chair , In the selection of clothing styles at the same time , guests can also be appropriate to sit down and have a rest . I have to say the layout is very comfortable . 3. How can i customized a clothes shop like this one ? 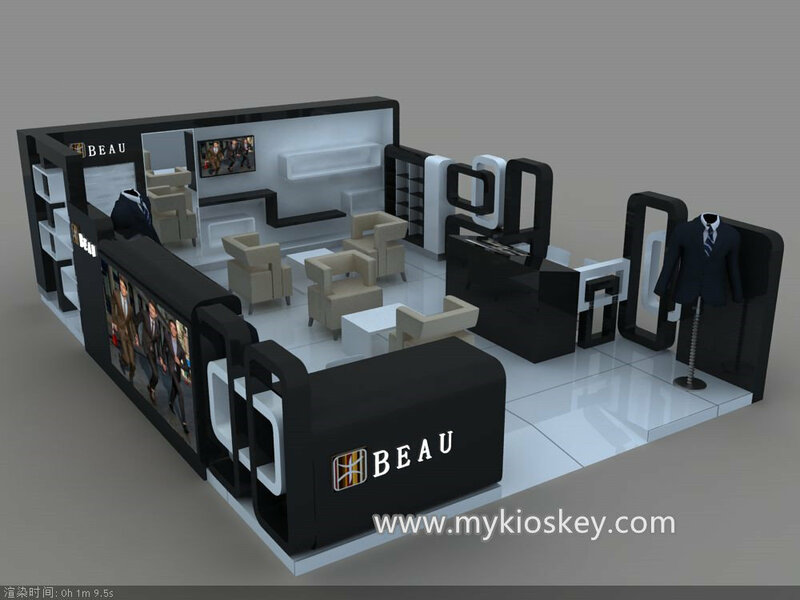 If you plan start your mall clothes shop business , below is some necessary step . 4. assemble the counter . 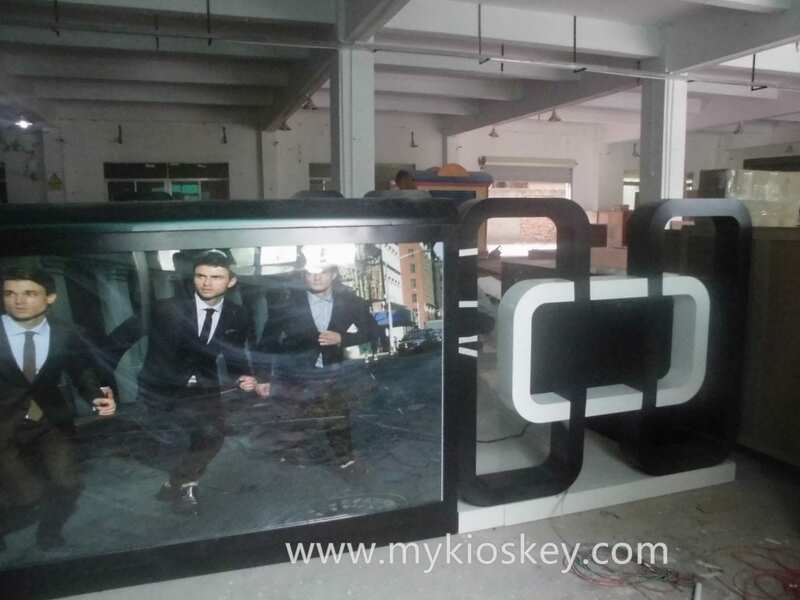 when we production this shop , we will cut it to some reasonable part , mark 1,2,3,4,5…. You just put them together in order, connect the wires, and the whole kiosk will work . Thanks for your time and reading , if you need more further info about this clothes shop, pls feel free to contact us , thank you !